Where Hustle and Leadership Meet. Jason, master electrician at Lemberg, sits confidently in the new gathering space of Southbrook Church in Franklin, Wisconsin. It’s a beautiful space with a flood of natural light spilling into two newly lit internal hallways, one seamlessly connecting the new space with an existing space, the other leading to a well-considered children’s area. Jason was lead electrician on the Southbrook project, representing Lemberg, the electrical subcontractor to Catalyst Construction. The project and Jason’s work are praised by the Pastor of the church, Jonathan Misirian. "The work exceeded our expectations," says Pastor Misirian of the project. "It blew away our expectations! This met our goals absolutely, without a doubt." He adds, “We would love to use Lemberg again." It’s a compliment that Jason doesn’t take lightly. He is proud of the quality work he produces every day and of being trusted with the leadership role on projects like this one. He admits that the toughest part of leading any project has more to do with building a team than with the work itself. He credits his team for the success of the project. "You need to find a way to motivate people. A foreman must harvest what each person is good at. Everyone has something to contribute and it's the team that really makes the difference." -- Jason, master electrician at Lemberg. "You need to find a way to motivate people," he says. "A foreman must harvest what each person is good at. Everyone has something to contribute and it's the team that really makes the difference." Jason says transcending generation gaps, motivating his team, and matching strengths of each electrician to the tasks at hand contributed to his team's success on the Southbrook project. Jason came to his field in a traditional way, but continues to push himself professionally. 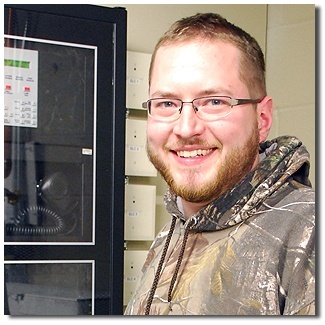 After taking electrical courses at Milwaukee Area Technical College, he entered the apprenticeship program through the Milwaukee Electrical Joint Apprenticeship Training Center. He then served seven years as a journeyman before earning his master’s license. He is currently working on an associate’s degree in construction management. Jason is also a licensed home inspector, which adds a layer of knowledge that benefits his company and his customers. "Jason really enjoys his work and that comes through in his attitude and the service he gives the customer," says Steve Mueller, project manager at Lemberg. With that kind of motivation, finding him at Lemberg is no surprise. It’s the combination of the size, the opportunities available to him and the notable work ethic that he finds attractive at Lemberg. "I really like Lemberg. It’s small enough to not be treated like a number, but large enough to provide consistent employment,” he says. “Everyone I’ve worked with so far has the drive. They are all willing to pick up the tools and finish the job. They always maintain their composure." Running into new situations is part of the job. Having variety from job to job keeps the work interesting, but if there’s one tool that is needed to manage that kind of changing environment, it’s the ability to adapt. To Jason, that’s the key to success in an industry where market and economic fluctuations can change the landscape and availability of the work from season to season. Jason warns that a person must be motivated to find opportunities to learn in order to stay relevant. It’s about hustle. 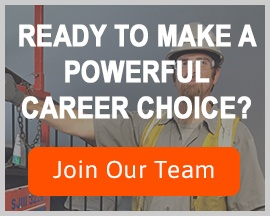 He encourages budding electricians to absorb as much as possible during their apprenticeship and develop a reputation for having a strong work ethic. "Use your apprenticeship as a foundation for your career. Be willing to work hard," he says. Coming from a budding leader with a bright future and a lot of hustle, that’s advice we can all take no matter what industry – or generation -- we’re in.